Zero Hour 4.45 a.m. troops attack on a nine mile front. 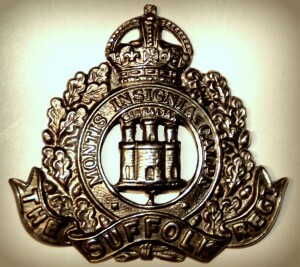 4th Battalion the Suffolk’s make a frontal attack on the Hindenburg line. Residence: 1, Ayslum Yard, Lower Orwell Street, Ipswich. Employed: as a Moulder at Ransomes, Sims & Jefferies, Orwell Works, Ipswich. 1901 26, Potter Street, Ipswich. Arthur was 5 years old and living with his parents & sister. Harry William Cocker, 35, a Dockside Labourer, born Ipswich. (Florence) Flora Cocker (nee Reynolds), 26, a Corset Maker – at home, born Colchester, Essex. May Florence Cocker, 3, born Ipswich. 1911 9, Watts Court, Foundation Street, Ipswich. Arthur was 14 years old, he worked at a Newsagents. He was living with his parents & siblings. Harry, 42, a Labourer – Iron Works. Florence, 36, a Charwoman – Public House. Harry Cocker, 9, born Ipswich. Soldiers’ Effects to Harry W. Cocker – father. 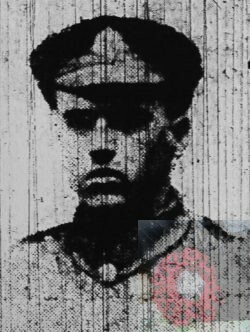 Arthur is also remembered on the war memorial at St. Mary at the Quay Church, Ipswich and the Orwell Works Memorial Ransomes Sims & Jefferies Ipswich. Hi i have a photo of this man if you would like a copy. Hi Samantha, yes we would love to have a copy. We are in the Poppy shop in Sailmakers (Tower Ramparts) shopping centre next Saturday if you have a hard copy we can scan or if not just mail us. 2 Pings/Trackbacks for "ARTHUR WILLIAM COCKER"